A lot of emphasis is put on the rules of etiquette when throwing a party, but there also rules of etiquette for guests as well. When invited to a formal event it is proper etiquette to arrive within fifteen minutes of the time listed on the invitation. For informal events, guests can arrive up to thirty minutes after the party officially begins. Also, it is proper etiquette to bring a gift to the host to show how much you appreciate all of their hard work. For a dinner party that requires a lot of preparation and hard work from your host deservers a nice gift (under $30). If it is a potluck the food you bring is gift enough. 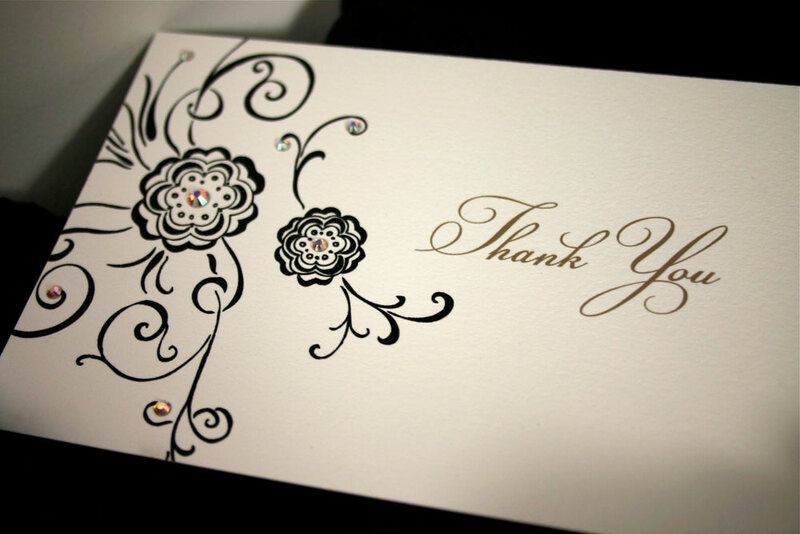 For a brunch or cocktail party it is always appropriate to send a hand written note after the event thanking your host. The important part is to let your host know that their efforts did not go unnoticed and that you had a good time. How long should you stay? If the invitation dictates an ending time you should follow suite and not linger too long. It is impolite to overstay your welcome. If the party does not have a specific end time, monitor the other guests and when about half have departed you should get ready to leave as well. Following these simple rules of etiquette will make sure you are a great guest and will help you get an invitation back! As always if you have questions please email me! A hand written thank you is a nice way to show your appreciation! I received an email yesterday from someone who was looking for some ideas for a baby shower. She knew she wanted a firefighter theme, but wasn’t sure how to execute it. 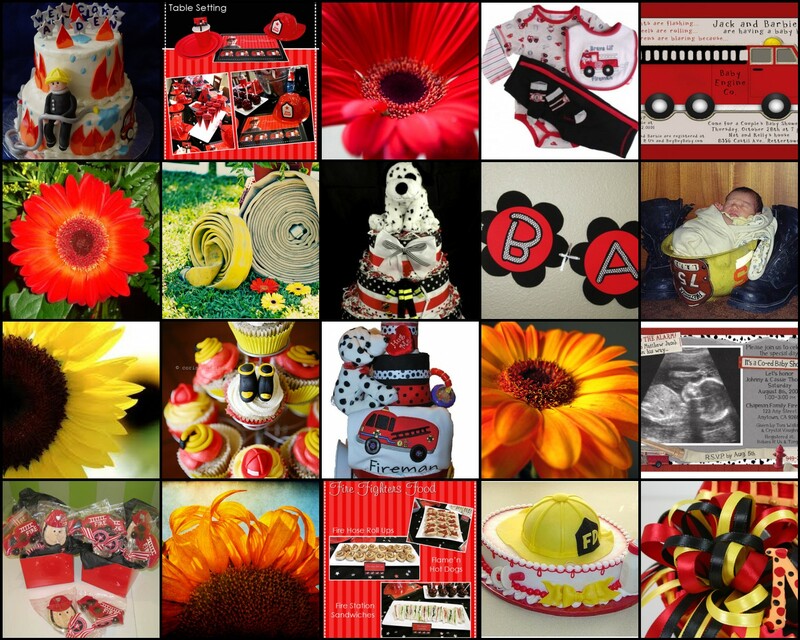 I had never thought about this type of theme going with a baby shower before. But I am not one to turn away from a challenge. So with a little work I was able to put together this inspiration board for her. An event can be inspired by anything and this just proves it. Are you stuck for ideas? Do you have questions and just don’t know who to ask? Send me an email and I would be more than happy to assist you in your event planning needs! Good luck! There is no wrong theme for any event. There is always a way to make it work!